Azerbaijan Ministry of Culture plans to restore rare antiquarian books and publications. Within the framework of the project, it is planned to restore and reprint rare books, remaining only in a single copy, Sputnik Azerbaijan reported. In addition, books previously published in Cyrillic will be re-published in the Latin alphabet. Among the rare ones there are also old children's publications with valuable illustrations. Those wishing to participate in the tender should contact the Ministry of Culture before February 20, 2019. 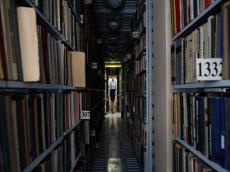 The list of rare books to be restored and replicated has not yet been disclosed. The Ministry is planning to announce the list at the end of February.